When you follow a diet where you don’t eat the usual breakfast cereals or toast you can find yourself getting stuck in a rut for breakfast ideas and eat the same old boring egg dish day in and day out. 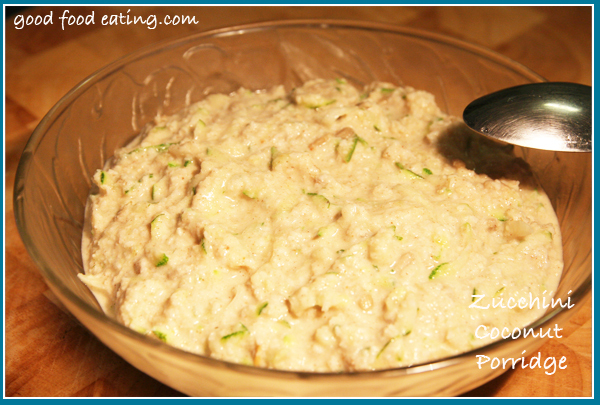 But there are actually many things you can eat for breakfast if you just get a little creative like I did with this zucchini almond meal porridge. It may sound like a strange idea to add zucchini to a breakfast dish such as porridge but I’m always looking for creative ways to get more veggies into my diet and this dish is no exception. It’s got a lovely taste, aroma and texture and can be made in a big batch for the whole family if you choose. Serve as is for a spicy aroma filled porridge. If you prefer it sweet add a teaspoon of honey or some stevia. You can also add some extra milk or coconut cream on top for serving. 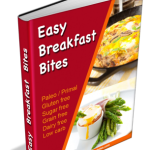 Hope you enjoy that breakfast and if you’re looking for some more grain free, gluten free and healthy breakfast ideas, check out my breakfast cookbook, it’s got over 60 delicious breakfast options to choose from.